A great year for crafts begins with a great selection of Cinematography. This is always one of my favorite awards to consider every year, just as important to me as the Acting, Screenplay, or Directing awards (film is cinematography, after all, so this award is absolutely essential). And there were so many great feats of photography this year. Daniel Landin’s haunting work on Under the Skin made us view our world with alien eyes, and the results were simply transcendent. Bradford Young evoked the spirit of Gordon Willis in crafting the simultaneously dark and warm tones of A Most Violent Year, but he also asserted his own visual voice in crafting this immersive vision of 1981 New York. Robert Elswit delivered two all-time great depictions of Los Angeles in Nightcrawler and Inherent Vice, but I leaned with the latter here for its carefully composed long takes and lush blue/orange color scheme. Robert Yeoman worked marvels in three different aspect ratios for The Grand Budapest Hotel, and his expert use of the classic Academy ratio (a style of composition I love, and wish we had more of) was almost enough to make me give him this hypothetical award. But it would be foolish to deny what Emmanuel Lubezki achieved with Birdman, not just in crafting the entire film as a single-take illusion (which is so, so much harder than any of us can imagine), but maintaining a steady stream of thoughtful, beautiful, funny, haunting, and even transcendent images throughout. My favorite single image of 2014 comes from Birdman (it’s the one pictured above), as do a wide assortment of runner-ups, and when I sit back and remember that they are all (mostly) part of one continuous shot, my jaw just drops to the floor once again. 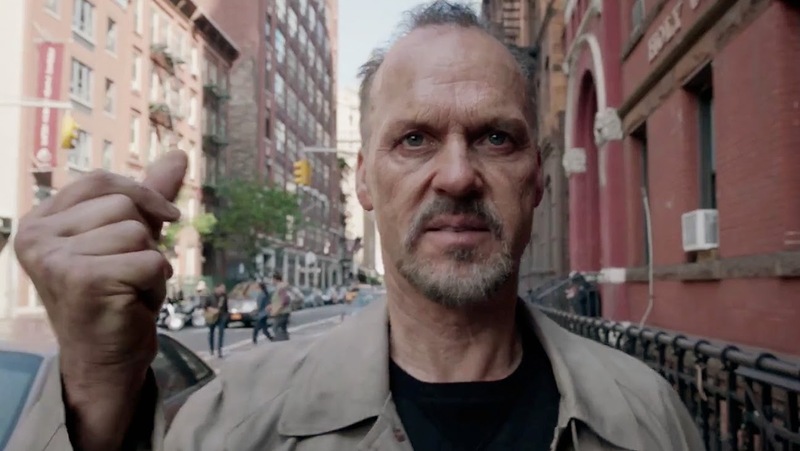 Birdman is the cinematography achievement of 2014. Lubezki was the master last year for Gravity, in 2011 for The Tree of Life, and he’s outdone himself this year with Birdman. Maybe it’s time to just crown him the modern King of the form. Nobody does this better. Production Design may be the standard-bearer for the incredible year these craft categories all had, as artists across all kinds of film created some truly awe-inspiring settings. To narrow the list down, I really had to focus on what Production Design did for the storytelling, how it contributed to making the overall film feel ‘special’ to my mind. That makes choices like Snowpiercer, Birdman, or Only Lovers Left Alive obvious, where the confined settings of the stories calls for maximum ingenuity and imagination. Similarly, Inherent Vice wouldn’t be the film it is without such a masterful evocation of 1970s LA. Still, the King of this category has been obvious since March. The Grand Budapest Hotel is one of the most exquisitely mounted cinematic productions of all time, a live-action film with the visual depth and precision of an animated feature. It is a marvelous world to look at, rich with color and life, and no cinematic setting this year was more fully realized. 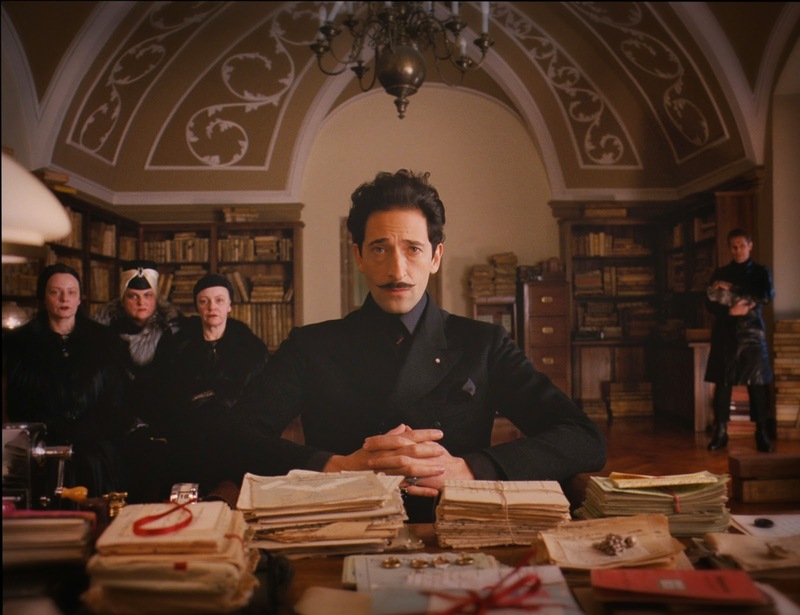 The Grand Budapest Hotel is a technical marvel from top to bottom, and Production Design is the epicenter for its visual majesty. While the Academy voters seem to keep this category around only so they can applaud the fanciest clothing, I prefer to think of Costume Design in terms of what it does to inform character, or shape an overall atmosphere. Inherent Vice is a really good example of that, with the clothing worn by Doc Sportello in particular telling us volumes about the character, and the many other costumes on display helping to evoke the aura of 1970 LA. Similarly, Only Lovers Left Alive is a stunning example of world-building from top to bottom (second only to Grand Budapest this year), and the costumes worn by Tom Hiddleston and Tilda Swinton are essential in making those characters and their nighttime world come to life. I could say similar things about Snowpiercer, which relies heavily on rich and varied costume work in illustrating its many different trainbound settings, or even the final Hobbit film, where the costuming potentially shines through above all other technical areas. 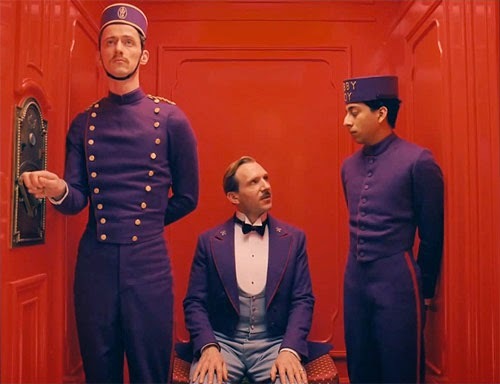 But as with many of these craft categories, the winner can only be The Grand Budapest Hotel, in which costuming works in tandem with Production Design to bring the world of Zubrowka, and all its wonderful characters, to stunning, colorful life. Editing is always a tough category to pin down, because it’s rarely easy to identify what exactly an editor’s work is contributing to the film as a whole. Are those rhythms built in from the project’s inception, a completely planned part of the director’s vision from day one (a la Inherent Vice or The Grand Budapest Hotel)? In that case, editing is ‘merely’ assemblage, and it’s tough to know what to say about it. These five films, though, are cases where I feel like there was some obvious magical energy going on in the editing room, be it the symphonic construction of Interstellar (Lee Smith has quietly become Christopher Nolan’s most significant collaborator), the razor-sharp tension of Nightcrawler, or the expert excitement of Whiplash. Wild is at times a furious stream of consciousness, a lyrical immersion in the mind of the main character, and it’s a significant achievement in editing as a result. Birdman is constructed to look like one long single take, but it is in part an illusion, and that makes the invisible work done by the film’s editors all the more impressive. Really, I could give the hypothetical award to any of these five and feel good about the choice, but Interstellar is the one that calls out to me the most. The film’s closing hour, in which action, spectacle, and intimate human emotions are connected, literally and figuratively, across vast amounts of time and space, is a jaw-dropping accomplishment of artful and precise editing, and if it doesn’t quite surpass Nolan and Smith’s greatest collaboration, Inception, it comes damn close. 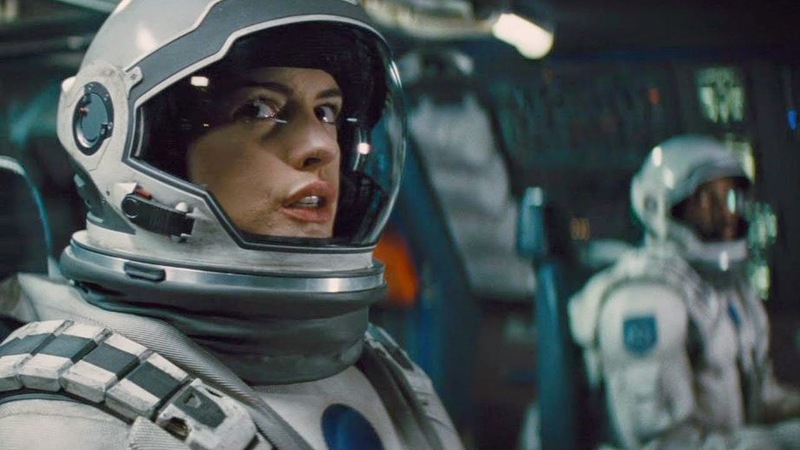 Really, no major Hollywood director relies on editing in such interesting, compelling ways, and Interstellar is another stunning testament to what Nolan does so well. A really good year for the form, in which I found myself fascinated by the “Hairstyling” side of the equation just as much as “Makeup.” Inherent Vice wouldn’t be nearly as fun without those outrageous 70s hairdos, after all, and the dwarfs in The Hobbit are just as much a feat of hairstyling as they are prosthetics. Foxcatcher definitely won 2014 in terms of the former, with the makeup used to transform Steve Carell looking completely seamless, and allowing him to give a fully-realized performance even through some very heavy prosthetics. Snowpiercer was a masterful combination of everything this category recognizes, from the subtle physical desolation of the main characters to crazy creations like Tilda Swinton’s character. But my heart lies with Guardians of the Galaxy here, because the full-body make-up used to create characters like Drax and Gamora was just a pleasure to look at, and I appreciate how much James Gunn employed physical make-up and prosthetics work in bringing this world to life. 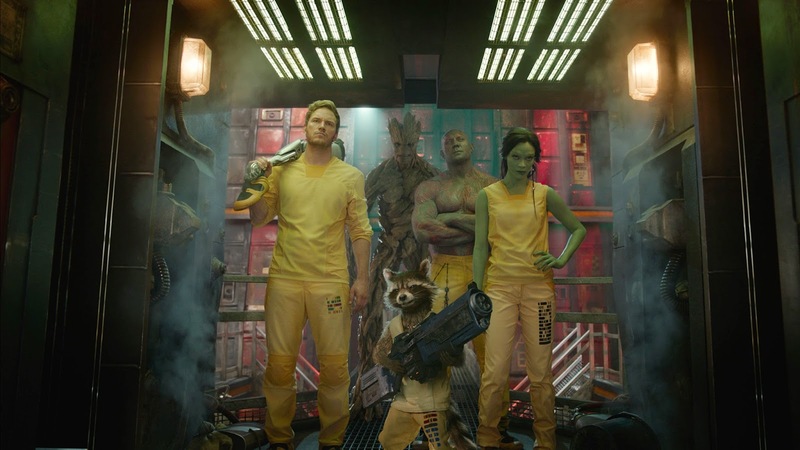 Guardians of the Galaxy has a stunning overall design, and to me, it’s most apparent in this category, where it handily takes the (fake) trophy. Four blockbusters and one strange arthouse flick seems like the right balance to me this year. Dawn of the Planet of the Apes, Godzilla, and Guardians of the Galaxy were all outright marvels of modern CGI, proof that, when employed artfully, CGI is an amazing storytelling tool. All are worthy of recognition. Interstellar is a feat of old-school, practical model work mixed with some CGI backdrops, and it’s breathtaking from start to finish. I considered going with the latest Hobbit for that last slot, but frankly, I thought the visual effects were really rough throughout this trilogy, and while The Battle of the Five Armies does indeed contain some amazing sights, it’s also riddled with messy compositing and bad physics, making the whole affair look overly cartoony. Thus, Under the Skin gets that fifth slot, in recognition of how crucial visual effects are to the film’s wildest, creepiest moments. 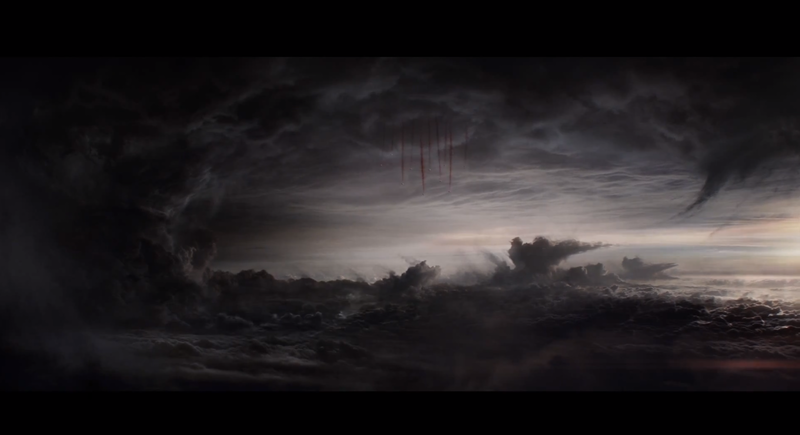 I give the edge here to Godzilla, because no film this year used visual effects to create more stunning, haunting, awe-inspiring imagery. The HALO drop into San Francisco alone is an Oscar-worthy showcase sequence, and the creation of Godzilla himself is beyond perfect. Come back tomorrow for the second installment, in which we’ll talk the Music and Sound categories.